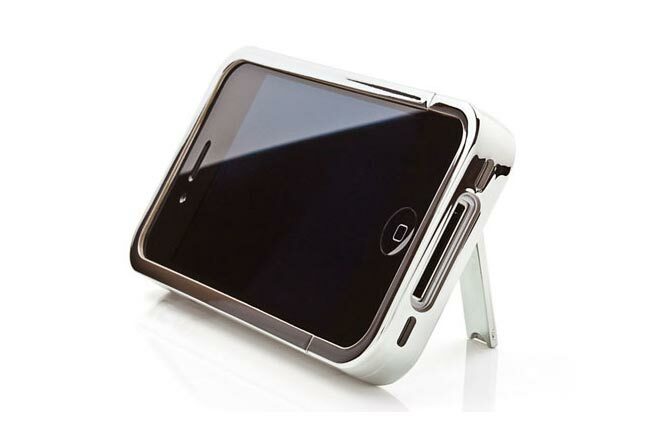 iKit has launched a new bling chrome case complete with kickstand on the back for easy viewing of media. The case is constructed from polycarbonate body and soft rubber interior providing scratch protection, while the shiny chrome finish gives a unique funky look. The new iKit Chrome Flip case allows full access to all controls, along with the ablity to sync and charge while inside. The bottom can also be removed if required for quick easy docking. The iKit Flip Chrome case is available for $35 as comes in either metallic chrome finish and comes in silver, pink, and blue colours.